Texting and driving is a bad idea. A really bad idea. Don't do it. To combat the scourge, the state of New York just gave its police a million bucks to go out and buy specially-modified Chevy Tahoes that enable them to spy into your car and see if you're on the phone, just textin' away. Alright, so it's not exactly the mass-tracking of license plates that is really creepy, but it's actually an innovative way for cops to catch people who are driving dangerously, according to ABC News. See, the problem is cops can't just search in your car all willy-nilly because they think you might be on your phone and so they feel like they can just pull you over because they feel like it (even though sometimes it seems like that's the case). They have to actually see you doing something to have probable cause to give you a ticket. Unfortunately, those ne'er-do-wells who text and drive have so far eluded the law by using a very innovative method themselves – they just leave their phone in their lap. The new, unmarked Chevy Tahoes are modified so that the police officer driving them sits up much higher than normal, allowing them to peer down into your crotchal region. For phones, of course, no other reason. It's supposedly really effective. At catching texters, not at crotch-peering. You know what? Maybe this is even creepier. 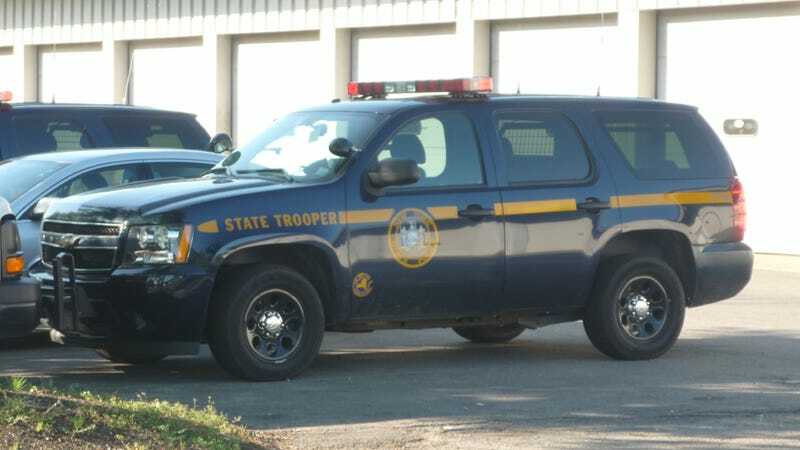 In addition to more vehicles for officers, Cuomo has increased the penalty for distracted driving from three to five points on a driver’s license. In New York, a total of 11 points can be grounds to revoke or suspend a license. The governor also signed legislation to increase license suspension and revocation periods for distracted driving on young and new drivers. Seriously though, texting and driving kills. Don't do it.